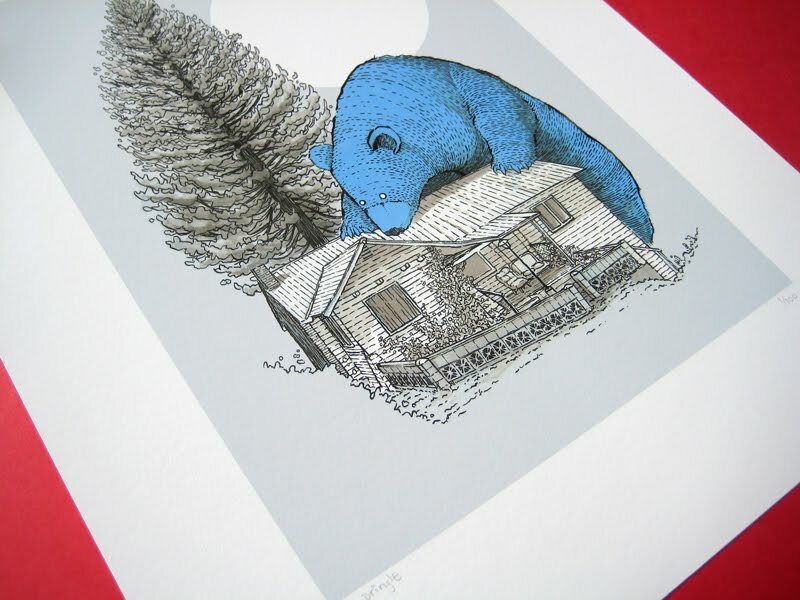 A week or so later than promised 'The Giant Blue Bear of Portola' prints are now available from the shop. Click here to buy one. Or if you want the t-shirt instead click here instead. Or perhaps you could buy both if you're feeling flush? 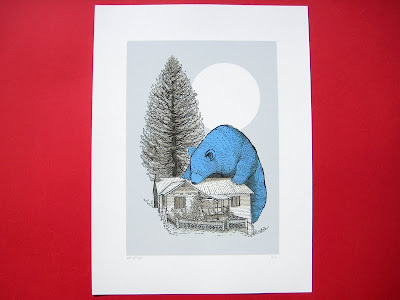 I finally got my hands on the t-shirt and I'm really happy with the print quality - the blue really punches which was the most important thing for me. I think by now you're all fairly familiar with the giant spirit bear series but just in case you can see them all on my new website here. 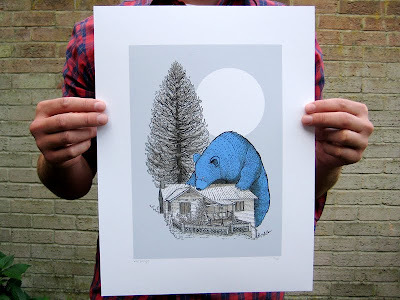 That bear is awesome! Love the blue.